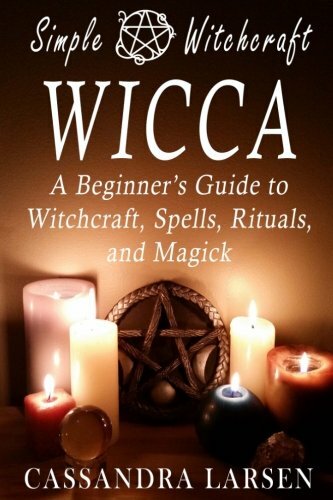 Wicca: A Beginner’s Guide to Witchcraft, Spells, Rituals, and Magick is a gentle introduction to this beautiful earth-based religion. There are many books on this subject, most of which contain lengthy, complex rituals that are difficult to follow and understand. I am a firm believer that simple rituals and spells are just as meaningful and effective as complex ones—if not more so—as long as you have the focus, will, and desire to enact meaningful change in your life. In this guide, you will learn: • The basics of Wiccan beliefs and values • Meditation and visualization exercises designed to open your mind and expand your consciousness • All about the basic Wiccan tools, as well as how to create your own tools inexpensively! • A simple purification ritual to cleanse all your tools and magickal items • How to cast a circle simply and effectively • All about the 8 Wiccan sabbats, complete with a simple ritual or spell to celebrate each one! • Easy spells for prosperity, success, love, purification, charms, and banishing bad habits This book also contains a bonus correspondence chapter on colors, herbs, stones, moon phases, and days of the week, designed to help you create your own powerful spells and rituals! With this guide, you will have all the necessary skills and knowledge to begin practicing Wicca and Witchcraft today!